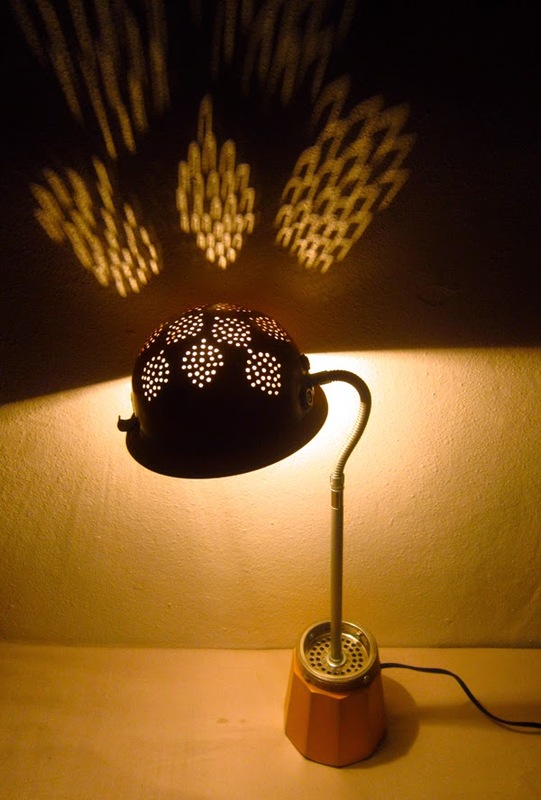 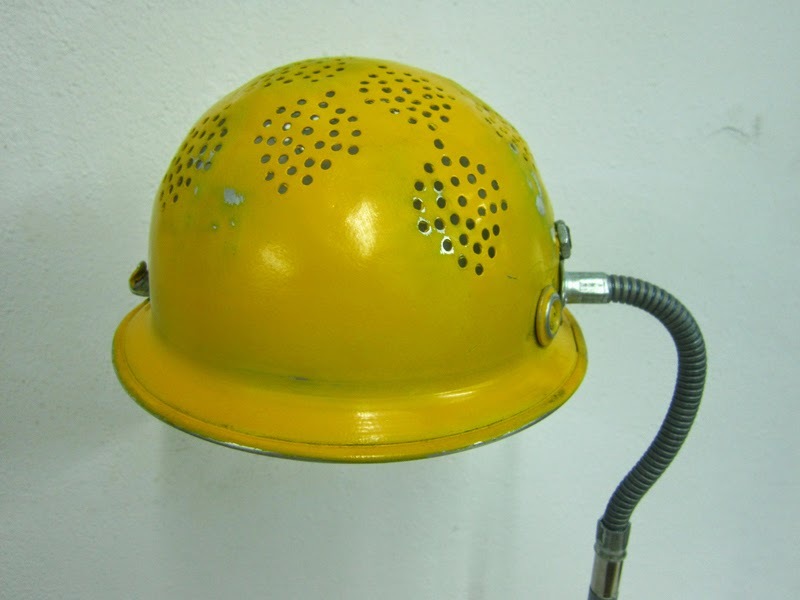 desk lamp made out of an old colander, the base of an Italian coffee pot and various other parts -such as a sink hole cover, rivets, screws, washers, a flexible gooseneck, a porcelain bulb socket and a black cord set. 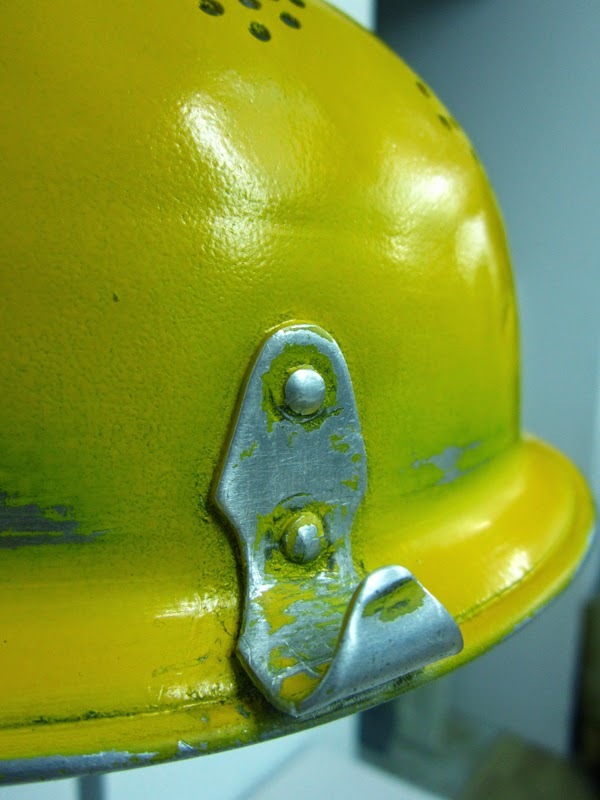 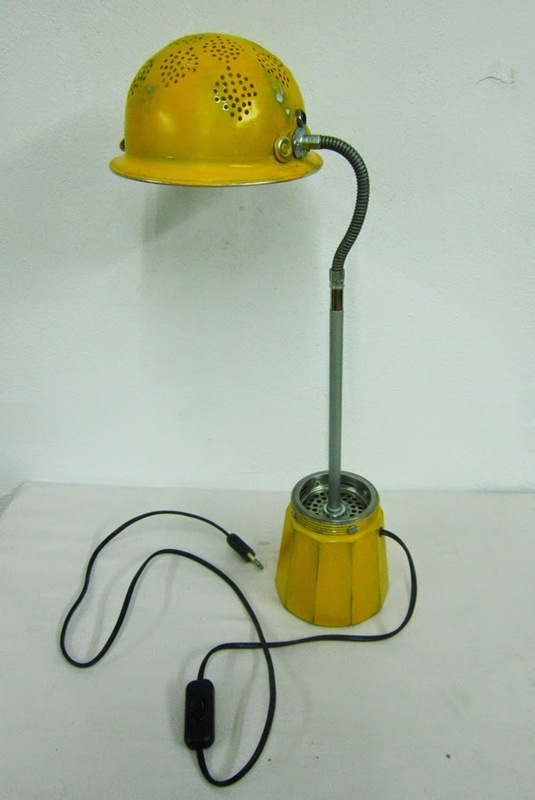 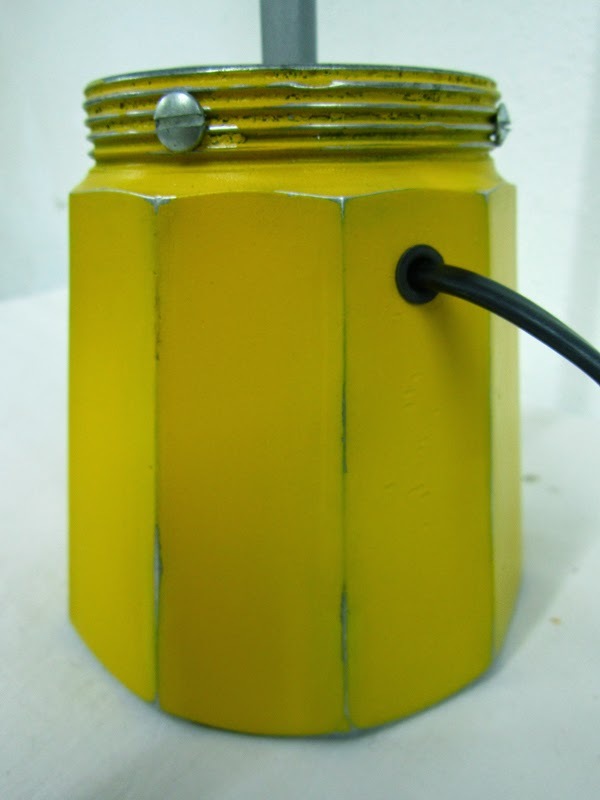 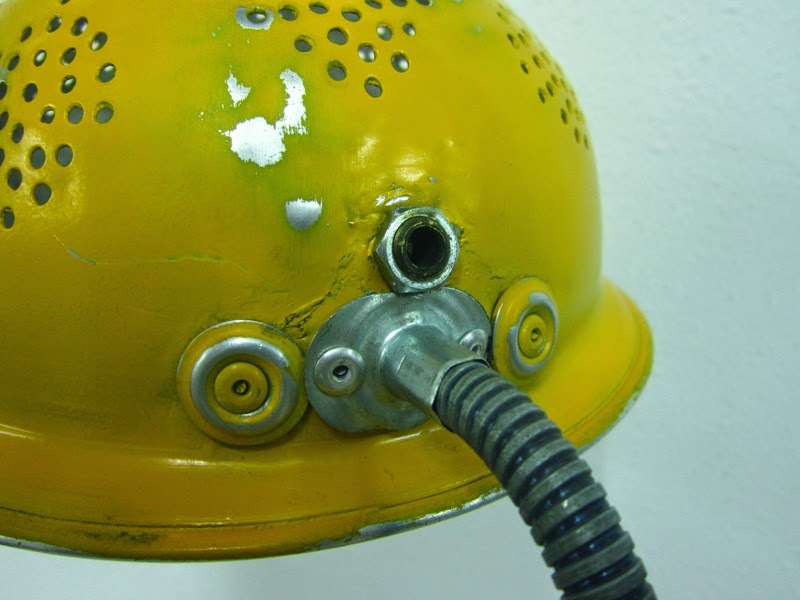 This lamp looks nice when it's not switched on, as both the lamp shade and the base have been sprayed in a bright yellow colour that combines nicely with the rest of chrome parts. 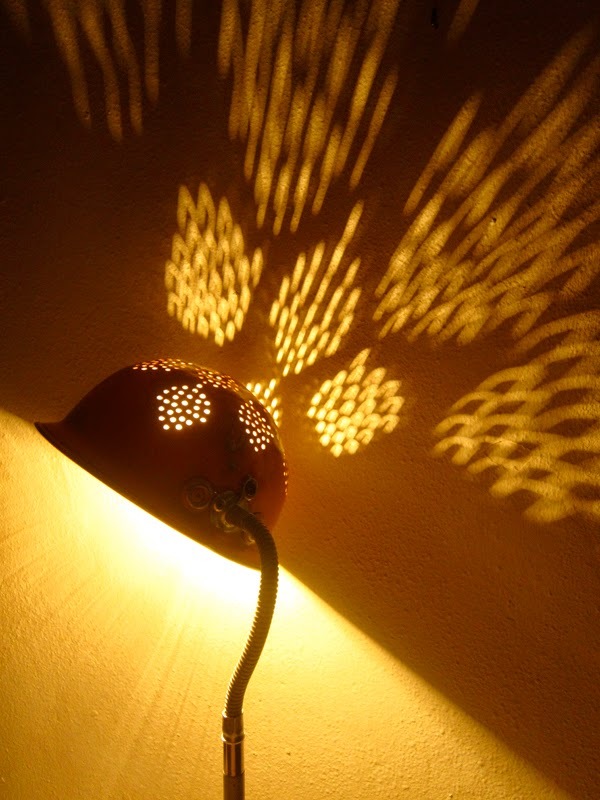 And when it's lit on, the colander casts dramatic, funky shadows! 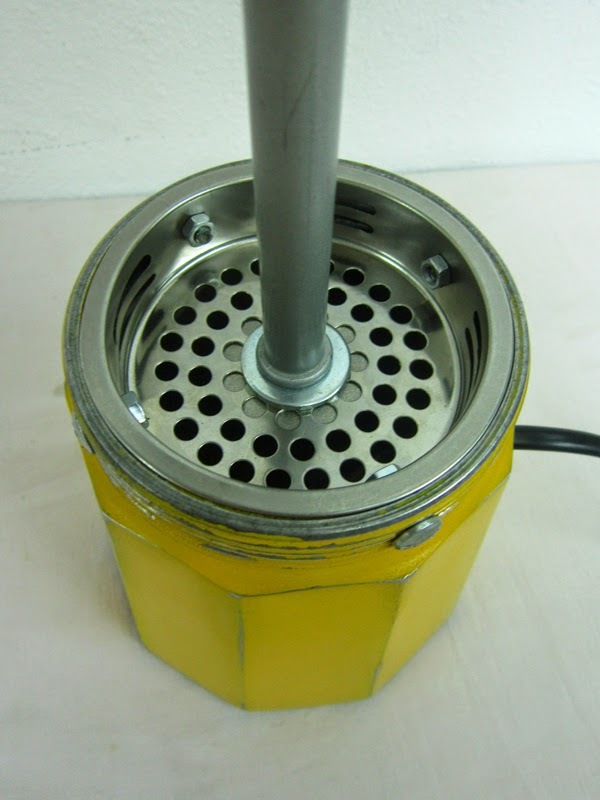 Measures: total height 56cm; base 11cm diameter and 13cm high; shade 16cm diameter, 9cm high. 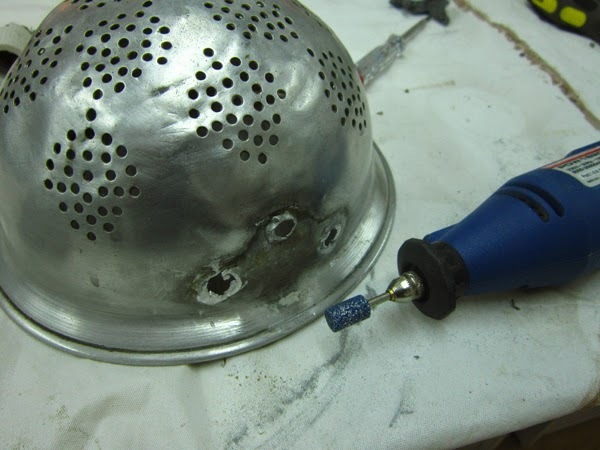 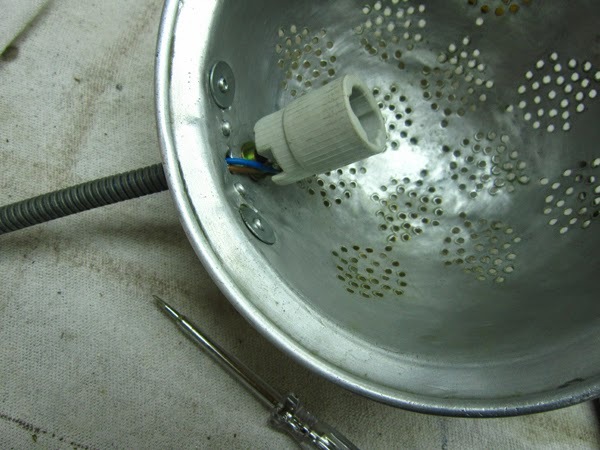 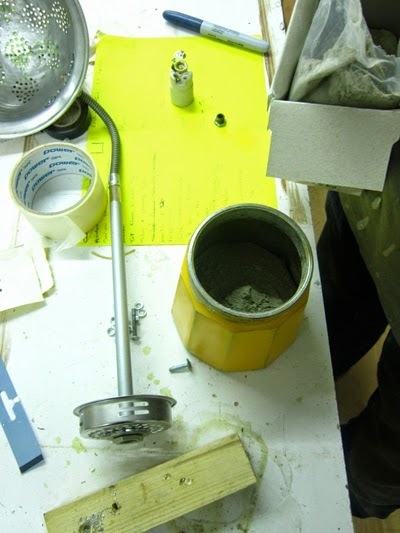 Some pictures taken during THE MAKING OF: sanding the holes left in the old colander by the missing handle, pouring fast setting concrete in the bottom of the coffee pot base and, down below, wiring the lamp.